Due to popular demand, we’ve created our own line of designer leopard gecko shirts, mugs, and accessories. These original leopard gecko designs are made to be trendy, eye-catching, and fun. We have wild designs for those looking to make a statement, such as our Diablo Blanco t-shirt. We also have more simple and subtle designs, such as our Tangerine Tornado with a heart. There is a little bit of everything for everyone. Here are our leopard gecko shirts available now on Amazon. Those with Amazon Prime can enjoy free shipping, start your 30-day free trial here. Each shirts are designed with original photos of our leopard geckos in our own collection. Click on them to view larger photos and sizing/color options. More will be added soon. Because Amazon only sells shirts, we’ve partnered with Redbubble and Teespring to provide you with mugs, bags, iphone cases, pillows, towels, stickers, notebooks, pants, and more. They each offer different styles of merchandise, with varying qualities and color selections to them. So please feel free to browse them all and see if you find something you like. Wear these leopard gecko shirts and accessories with pride, show your love for leopard geckos! Do check back more often, we have much more to show you. If you have a specific gecko morph you would like to see on tshirts, mugs, or others, please contact us. We can’t guarantee it’ll be done, but we’ll try to accommodate. Please note that these designs are printed on different quality shirts. We have limited color options when creating these tshirt designs. If you see a design you really enjoy but would like it with a different color shirt, let us know. We may be able to accommodate you. The DTG (Direct to Garment) printing process of graphic shirts can leave a vinegar-like smell. This is normal and completely harmless. The smell should go away after a few days, so please air the shirts out for a few days before wearing. You could also turn the shirts inside-out and wash it on cold, dry on low. Or simply hand rinse the shirt with cold water and hang to dry (always turn shirt inside-out when hanging). The odor will for sure vanish after the first wash. The odor comes from pre-treatment of shirts before they are printed, it’s but one small disadvantage to DTG printing process. The advantages to DTG are 1) superior image quality and details, 2) able to print the full spectrum of colors, 3) uses environmentally safe materials such as water-based inks, and 4) ink last as long as the fabric. Thank you for visiting. We hope you enjoy these beautiful leopard gecko shirts and accessories! 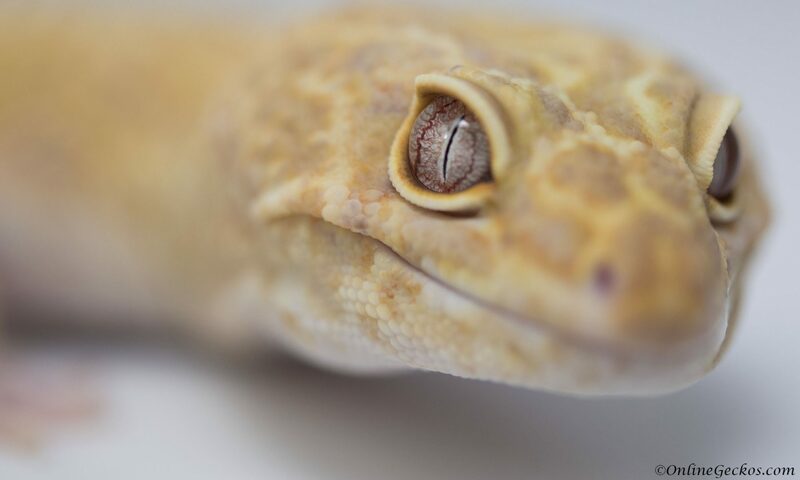 If you are here for leopard gecko care guides and articles, you can find them here.